If you have any question or need any China visa advice, feel free to drop us a email, we are willing to provide our knowledge to help you solve any China visa problem at any time. First you can Check our suggestion of China visas! and you can see all updated Chinese visa news here! 24th Mar 2017, Based on the new “Foreigner's Work Permit” (FWP) policy. Now it takes about 15 working days to renew the work permit, plus 7 working days for the residence permit renewal. It's total 22 working days (before it's only 12 working days). If your employer didn't register in the new system, it will take extra 5 working days for online account registration. 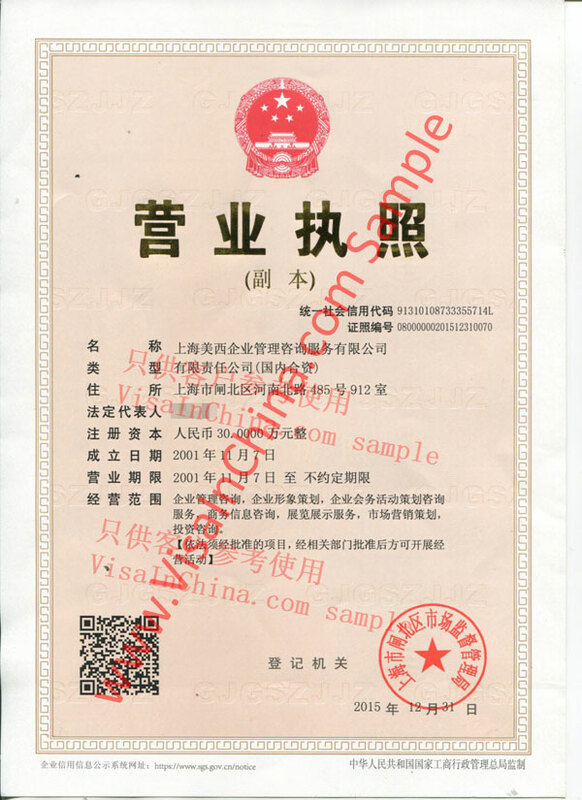 So VisaInChina suggest all my clients start your work visa renewal application with us at least 45-60 days before your visa expiring. We (Meshing Consultancy Services Co., Ltd) are a legally registered company established for 16+ years (Check our Company Business License, Established since 2001). We have a decent office located in the WuDing road. Jing'An CBD (we have been here for 16 years and it's same registered address on business license). Step1: Client email or call us to give us his/her visa situation. Step10: VIC deliver the passport back, Job Done! ** Most of the services above can be done without leaving the country. Besides that, Our Courier Service will make you feel more relax now! Just give us a call, we will pick up all documents from your doorstep and deliver it back after done.